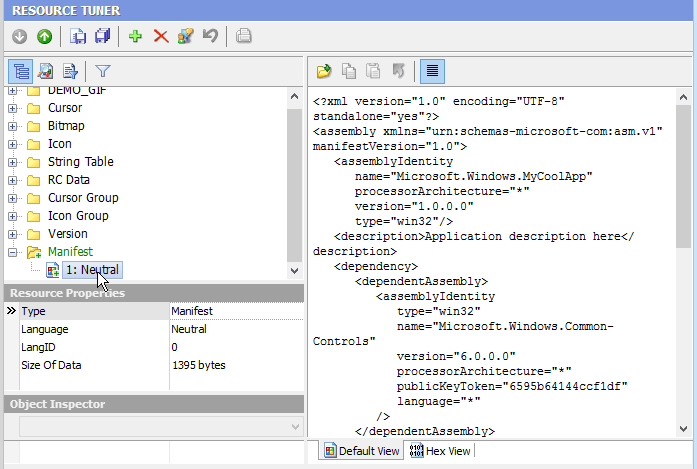 Resource Editor UAC Manifest Editor: Generate Application Manifest with Trust Level Information Section. I tried using mt.exe [from MS Visual Studio] to manifest my files. It worked on some but not on others. It seems your method of parsing the .EXE is more robust than the one that mt.exe uses. I found Resource Tuner on Download.com and it was so easy to use that I decided to go for it: the easy and intuitive UI that allows for editing exe and dll files. Incorporate Application Manifest with Trust Level Information Section into Your Applications. Another neat feature of Resource Tuner is its ability to generate a so-called application UAC manifest. This is a recently-introduced extension to Microsoft's common controls library, which enables an application to make use of the visual styles found in Windows XP and Vista. 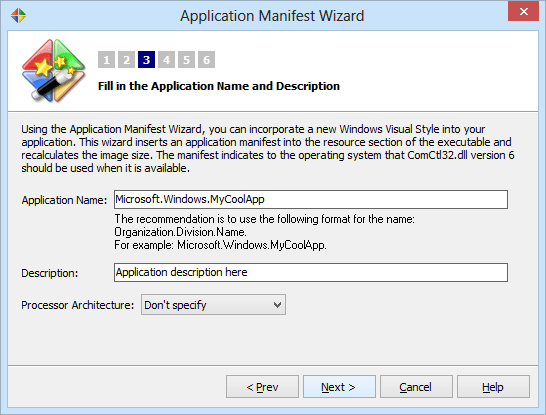 The Windows Vista application manifest has been enhanced with attributes that permit developers to mark their applications with a requested execution level. 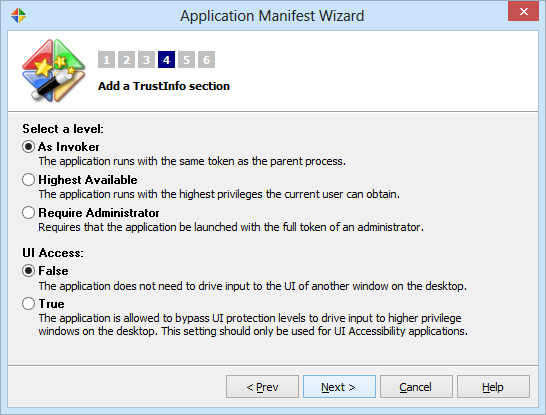 The wizard allows you to add a trustInfo section and insert the Require Administrator information into it so that the application would be forced to run elevated as an Administrator on Windows Vista, providing the application the same operational behavior as in Windows XP. A modified exe should still work correctly on prior Windows operating systems. Adding the trustInfo isn’t essential, but it is highly recommended. This will allow your .exe to always get the correct version, whether the operating system is Windows 10, Windows 8.1, or Windows 8. 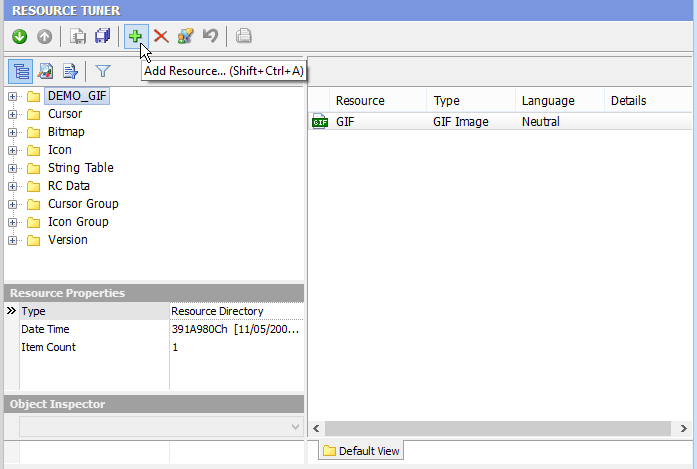 Resource Tuner adds in a manifest file into a manifest resource within the resource section of the EXE file. And now you could easily convert your legacy Delphi, Visual Basic, Visual C, etc. application into a Windows XP like application. The Manifest Wizard is very easy to use — just follow the instructions and fill in the blanks accordingly.